Author of Brown Bear, Brown Bear, What Do You See? Works by Bill Martin, Jr.
Join Caterpiller, Polar Bear, Brown Bear, and all their friends for fun and stories. Call 637-2260 or stop by the store to register. Storytime: Chicka Chicka Boom Boom By Bill Martin Jr.
Bill Martin, Jr. is currently considered a "single author." If one or more works are by a distinct, homonymous authors, go ahead and split the author. 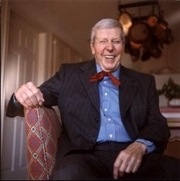 Bill Martin, Jr. is composed of 9 names. You can examine and separate out names.